We traded city life for the country years ago and I’ve never regretted it for a second. But one of the things I’ve always missed is having a bookstore nearby. Back when we lived in Atlanta, Steve and I had a Friday night ritual. We’d eat at Surin Thai, then head to the bookstore. For many years it was called the Oxford Bookshop, then it became Chapter 11. When we created Serenbe, we dreamed of having a bookstore in the community. This is one time when reality is even better than the dream. We heard about Josh Niesse and Megan Bell from AIR Serenbe’s executive director Brandon Hinman, who’d somehow gotten wind of our bookstore dream. They own Underground Books in Carrollton, about 35 minutes away near the University of West Georgia. It’s mostly used and rare books, with a huge online business. At the time, the Textile Lofts were being built with three spaces on the ground level. One seemed perfect for a bookstore. Brandon connected Josh and Megan with Garnie and what began as a conversation is now Hills & Hamlets Bookshop. This little jewel of a space — named for the Chattahoochee Hills and Serenbe’s hamlets — was designed by Peter Clemens, a Serenbe resident and retired set designer. 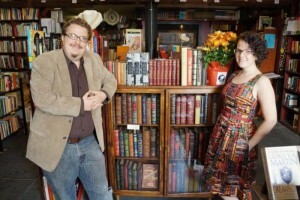 Peter fell in love with Josh and Megan and their bookstore in Carrollton. He knew they were on a budget and stepped forward to help with design. He even built all the cabinetry. 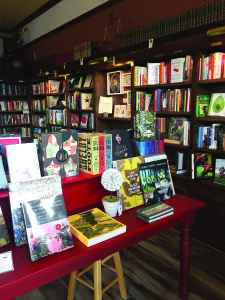 “The best bookstores today (and ever, really) are about the experience of a bookstore. The magic, the serendipity, the sense of discovery, the creation of community and connection with other readers, book lovers, dreamers and thinkers. This stands in sharp contrast to the frictionless, one-click online book buying, or sterile big-box retail, that has come to dominate the American bookselling landscape. 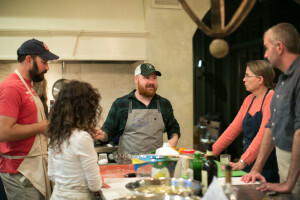 When chef Kevin Gillespie talks about food, he does so passionately. And with a striking combination of respect and knowledge. That red-bearded neighbor of mine can make the most humble head of broccoli seem like an adventure. So it’s hard to imagine that he was ever a little kid who sat at a dinner table, scowling at broccoli and beets. But he was. To be fair, that broccoli was usually frozen, then microwaved, then covered in processed cheese food. And the beets were both canned and bland. But like so many of us, he grew up, experienced those same foods in new presentations and thought, so this is what it’s supposed to taste like. At his most recent visit to the Serenbe Chefs Series, Kevin prepared a winter-centric menu including milk-braised pork shoulder, saffron risotto, roasted pears with honey mousse and this pickled beet and charred broccoli salad. I adore Kevin. 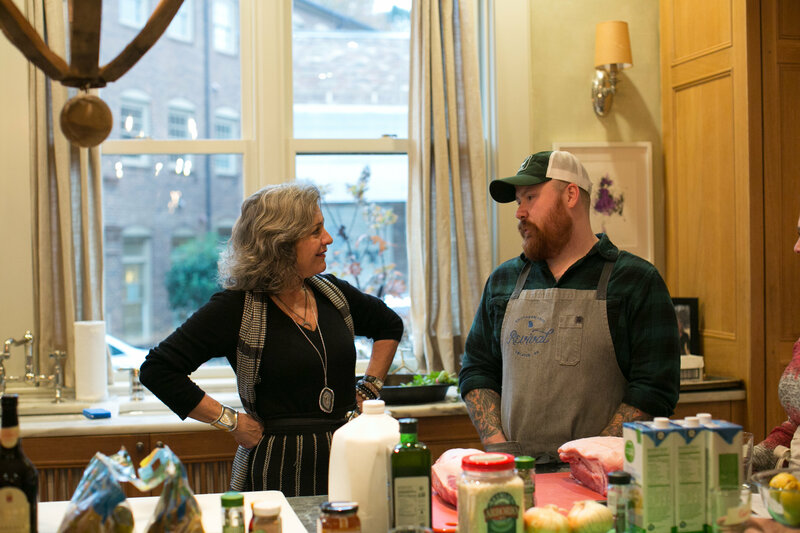 He is Southern to his core and as good a person as he is a chef. So in many respects, I’m biased. But this salad is genius in its combination of pickled and charred. It makes sense in the same way we put pickles on a grilled burger, but in a much lighter, brighter way. Peel the beets, slice off the tops and roots, and cut the beets into 1-inch wedges. 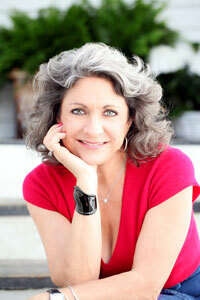 In a medium, non-reactive saucepan, combine the red wine vinegar, sugar, pickling spice, cinnamon and star anise. Bring to a boil and stir until the sugar dissolves, about two minutes. Pull the pan from the heat and let the spices steep for about 10 minutes. Strain and reserve the liquid, discarding the spices. Return the liquid to the pot, add the beets and bring to a boil over high heat. Cut the heat down so that the liquid simmers, and cook for 10 minutes. Pull the pan from the heat and let the beets cool in the liquid; they will finish cooking as they cool. Heat a medium cast-iron skillet over high heat until smoking hot. Drop half of the broccoli florets into the dry skillet, being careful not to crowd the pan. After about 30 seconds, toss the florets and continue tossing as they char and cook, about 2 ½ minutes total. The tender florets will char easily, which is good; you want that smoky flavor. Transfer the first batch to a plate and repeat with the remaining broccoli. Refrigerate the charred broccoli until read to serve. In a small bowl, whisk the goat cheese, lemon juice, water and a large pinch of salt until smooth. In a separate bowl, toss the frisée with 2 teaspoons of the olive oil and 1/8 teaspoon salt. Drain the beets and discard the pickling liquid. Place the beets in a third bowl and toss with 2 tablespoons of the olive oil, ¼ teaspoon salt and 3 grinds of black pepper. In a fourth bowl, toss the chilled charred broccoli with the remaining 1 teaspoon olive oil, 1/8 teaspoon salt and 2 grinds of black pepper. Yes, I realize you’ve got four separate bowls; it’s imperative that the components stay separate until they are plated. You don’t want the ingredients to mingle because each item brings a specific flavor, texture and color to the final dish. Divide the beets evenly among four plates. Top with the broccoli, the frisée and the crumbled feta. Drizzle on the goat cheese mixture and finish with a few drops of pumpkin seed oil around the outside of the plate.